Victory Martial Arts | | Cranberry, Pa. Martial arts are great for students of all ages. Training in martial arts offers numerous benefits for adults. 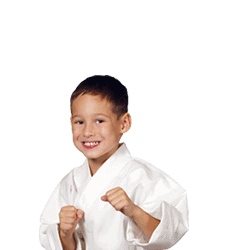 Karate kids are girls and boys who range in age from 3-12. They run the spectrum in size, age and maturity, but they all have the desire to participate in an organized athletic program with a variety of activities and goals. We strive to provide the ultimate fitness experience utilizing all components of boxing, kickboxing,groundfighting & fitness. All of our classes are 45 mins in duration and you can burn up to 800-1000 calories per class! They cater to all fitness and skill levels. Welcome to Victory Martial Arts in Cranberry Township, Pa.
We are a member of the National Association of Martial Artists, one of the largest martial arts organizations in the country with over 2,000 affiliated schools. We focus on the complete personal development of each student, by providing group and individual instruction. We believe in building self-confidence and self esteem through our award-winning curriculum. All of our nationally certified instructors follow our philosophy that “Every Child is a Winner and Every Child is Special!” At Victory Martial Arts, we are interested in the complete personal development of each student. Above all, Victory Martial Arts is designed to be fun. Adults, parents and kids alike can enjoy and benefit from our many social and recreational events. All parents are whole heartedly invited to join whenever they can participate. Who are the Karate Kids? Being a Karate Kid also means being a better student. Developing vital interpersonal skills is a major part of the program. We stress the importance of following directions, paying attention in class, respecting teachers and becoming an active participant. Every child at Victory Martial Arts is a winner! We use positive reinforcement to help them achieve their goals during their training. Karate challenges the entire body. It develops coordination, body awareness, balance and poise. Classes at Victory Martial Arts are fun, dynamic and challenging. It is a unique approach to martial arts for children. It is key to have balance in the curriculum. Classes are a mix of high energy, seriousness, traditional martial arts and games. It was a great way to have fun, meet new people, and build confidence at school. I look forward to all of my classes.